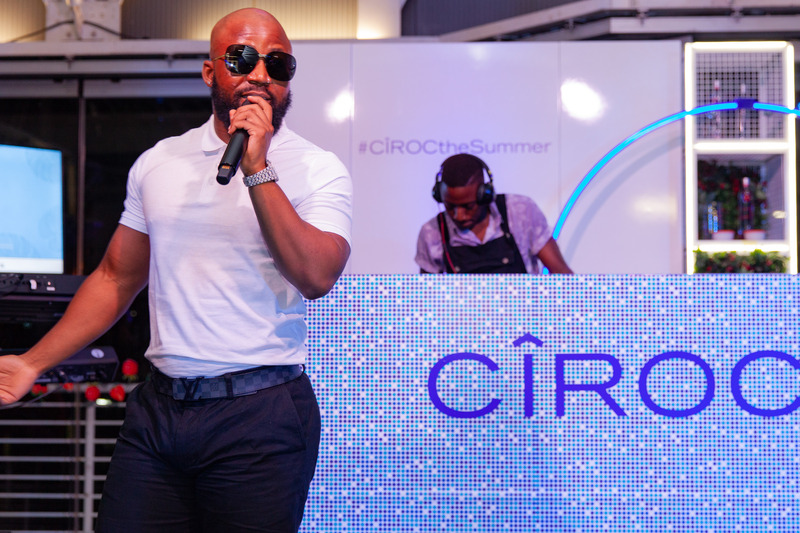 CÎROC, the luxury vodka made from succulent French grapes, introduced a new Red Berry flavour in a fashionable affair headlined by brand ambassadors; radio & TV sensation Thando Thabethe and seasoned hip hop artist Cassper Nyovest, at Shine Studios. Overlooking the hustle and bustle of inner city Johannesburg, the who’s who of the metropolis convened and were treated to an exclusive night out welcoming an exceptional, addition to the vodka house, which now joins the original blue dot, apple, pineapple, mango and summer colada family in SA. The Cîroc Red Berry launch event is one to remember as guests were the first to taste the bespoke menu by Vicky Crease and a coveted spot on the invite list. The event saw a myriad of notable faces from Joburg’s ever-popular entertainment and fashion scenes grace the launch with their presence, honoring the luxury vodka brand that’s worth celebrating the world over. Influencers and celebrities that were in attendance included Linda Mtoba, Major League Djs, Khanya Mkangisa and Siya Bunny. CÎROC Master Distiller Jean-Sebastian Robicquet believes “that the passion for joie de vivre which goes into creating CIROC vodka means it stands alone from other vodkas, making it the ultimate luxury drink. The grape character mixes beautifully with the fresh fruit flavours to create CIROC Red Berry.”. “We are thrilled to bring CIROC Red Berry to the South African market. The flavoured luxury vodka category is growing exceptionally in South Africa, with CÎROC leading the pack as we ensure that each year we introduce consumers to new innovative flavours trending globally. Red Berry delivers a deliciously smooth experience with each sip and we can’t wait for South Africa to #CÎROCTheSummer with this new and exciting variant.” – Suleni Pather, CÎROC Senior Brand Manager. CÎROC vodka believes it’s time to rewrite the rules and liberate luxury experiences; after all, it has already shaken up the world to luxury spirits. CÎROC Red Berry is available for purchase at all leading bottle stores nationwide. The recommended retail price is R499.95.